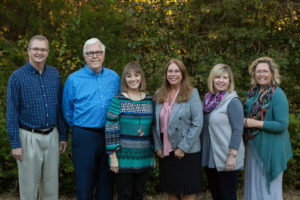 Christian Counseling Associates of Raleigh is pleased to offer our clients and the general public a number of other activities throughout the year. When most people think of “marriage counseling,” they think of hourly appointments on a weekly basis. Regularly scheduled session appointments are certainly a significant part of our practice along with extended sessions (multiple hours), and Marriage Counseling Intensives. However, don’t miss out on upcoming electives which are always being updated. We encourage you to bookmark this section of our website and check back frequently to find out more about programs that can be of benefit to you or those your serve, love and care about. We are constantly adding new opportunities to our practice calendar. Group Marriage Counseling Intensives take place several times throughout the year and are intended to provide three to five couples with the benefits on intensive counseling in a more affordable and collaborative format. Connected Marriage© Classes take place at various times throughout the year and utilize our Connected Marriage Home© curriculum to help motivated couples overcome distressing issues and push their relationships to the next level. These classes usually are based in the Raleigh – Durham area, are open to the public and take place over the course of 10-12 weeks. Family & Parenting Tune-Up Classes are similar in structure to our Marriage Retreat and take place at various times throughout the year. We draw on several years of family counseling and curriculum we’ve created to help families address and overcome their challenges. These classes usually are based in the Raleigh – Durham area, are open to the public and take place over the course of several weeks. Connected Marriage Retreats take place over a concentrated two-day period — usually Friday evenings and all day Saturday. We work with up to 25 couples at a time in an energized group setting, training couples on effective methods of identifying and overcoming trouble spots in their relationships. These programs are offered in the Raleigh – Durham area throughout the year either at a retreat center or in conjunction with churches in locations throughout North Carolina, the mid-Atlantic region and the country at large. This Upcoming Events section of our website will provide specific information about scheduled activities on our calendar. To learn more about these events, or to speak with us about scheduling one with your church or organization, please reach out to us by filling out the contact form to the right.